ABS-CBN’s newest talent-reality program “Pinoy Boyband Superstar” immediately captivated viewers nationwide as its search for the members of the ultimate Pinoy boyband kicked off last weekend (September 10 and 11). According to data from Kantar Media, viewers nationwide tuned in to watch the first batch of aspiring singing heartthrobs show off their charm and talent that “Pinoy Boyband Superstar” was the most watched program last weekend. Last Saturday (Sept 10), the show registered a national TV rating of 34.4%, versus its rival program on GMA, “Pepito Manaloto,” which only got 21.4%. The episode of “Pinoy Boyband Superstar” also rated highly last Sunday (Sept 11) with 36.4%, or 18 points higher than “Ismol Family’s” 17.9%. 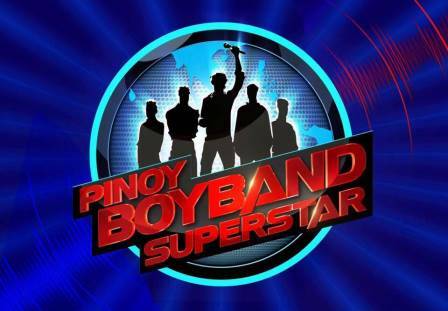 During its premiere, viewers got a taste of what qualities superstar judges Vice Ganda, Sandara Park, Yeng Constantino, and Aga Muhlach look for in a boyband. The lucky boyband member wannabe’s who got the judges’ sweet yeses were the Swabeng Shy Guy of Caloocan Allen Cecilio, Hunky Haranista of Valenzuela Ford Valencia, Romantic Athlete of UK Markus Peterson, and Kanto Boy Next Door of Cebu Niel Murillo. Also moving on to the next round of the competition are the wacky Twinkabogable of Batangas Jayvee and Bjorn Mendoza, as well as the Proud Daddy’s Boy of Pampanga Keanno Dela Cruz, the first-ever contestant to audition in front of the superstar judges by way of Sandara’s “override” power, which she used when he failed to get 75% of the girl fans’ votes. Just visit boyband.ph to get to know the boys better and relive their performances last weekend. Which of them will make up the Philippines’ ultimate boyband?